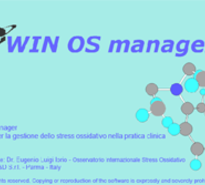 H&D srl is the only company worldwide to base all his activities on the study of oxidative stress and on its measurement. 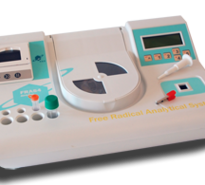 The study of the measurement of free radicals started in the first years of the '90ies and the research has lasted for several years before the first revolutionary test for free radicals measurement went into market: the d-ROMs test, internationally patented and worldwide distributed by H&D. The research kept going until it was able to finalize the BAP test (Biological Antioxidant Potential) and it is still going on to reach even more impressive goals. 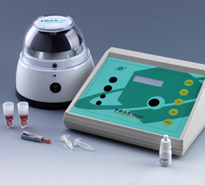 Fabrizio Callegari conceived FRAS 4 Evolvo, the dedicated instrument capable of measuring free radicals and antioxidant barrier in the medical doctor's study. Scientists, researchers, clinical doctors, chemists, analysis laboratories, pharmaceutical companies, diagnostic companies may find their ideal partner in H&D, the only company worldwide that chose the oxidative stress as its own reason for existing. H&D obtained and is obtaining more and more important results by means of collaborations with scientists, researchers, research centers all over the world. H&D has a close collaboration with ICOB (International Cooperation Oxidative Balance), a cultural association of scientists with the aim to promote, diffuse and interpret, when possible, the knowledge on the oxidant and antioxidant species in the practical clinic both on Human Medicine and in Veterinary Medicine, in order to promote a better quality of life. As a result of all this work, H&D has at disposal for medical doctors and customers more than 580 scientific papers published all over the world and realized by using the tests and the instruments by H&D. As a further confirmation of the work done by H&D, the international scientific community recognizes and adopts as the measurement unit for free radicals the U Carr™, that is the measurement unit for free radicals used exclusively by d-ROMs test and by FRAS systems. H&D is located in Parma (Italy) in strda Langhirano 264/1A. H&D distributes his products in over 30 countries worldwide.